These units are either 20 foot long or 40 foot long. They are constructed out of heavy duty steel, are rugged and durable. These units are designed to be used for the storage of building material on construction sites or other heavy duty commercial or industrial storage. All units are water tight, in good condition and have our heavy duty lock box welded to the doors for additional security. For more information on our lock boxes please go to our products page. We believe our reputation for supplying high quality containers at a competitive price, together with our reliable service and integrity separates us from the competition. We hold stocks of both types of containers and deliver islandwide. 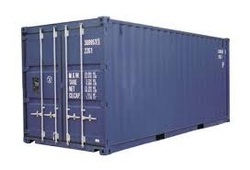 If you are interested in renting either a 20 foot or a 40 foot container please download our rental agreement by clicking the link below. Our rental fleet is first class and have the same build quality as those available for purchase. Furthermore, if we do not have a container that meets your requirements, we will be willing to convert one and enter into a rental agreement. 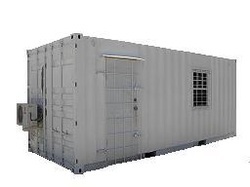 If you are interested in renting either a 20 foot or a 40 foot office container please download our rental agreement by clicking the link below.